And it was Next to a Sketch of a Knife! Gun safety is a school subject now because of precautions. Next will be Mower Blade Safety. QUICK RUN! 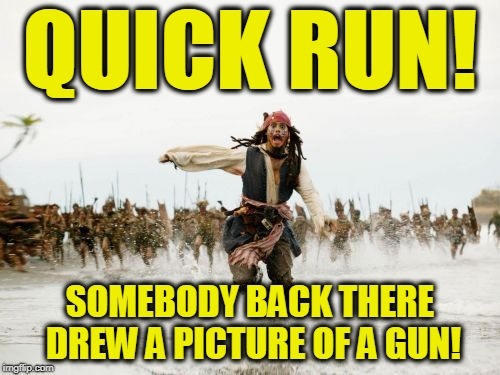 SOMEBODY BACK THERE DREW A PICTURE OF A GUN!